"I wanted to begin not with characters or ideas, but with movements . . .I wanted significant movement. I did not want it to be beautiful or fluid. I wanted it to be fraught with inner meaning, with excitement and surge." 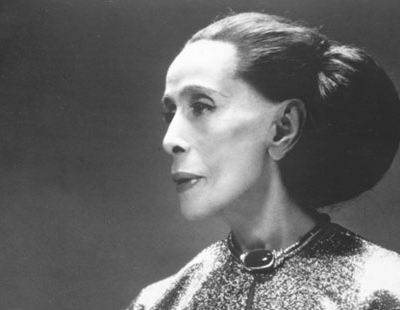 Martha Graham’s impact on dance was staggering and often compared to that of Picasso’s on painting, Stravinsky’s on music, and Frank Lloyd Wright’s on architecture. Her contributions transformed the art form, revitalizing and expanding dance around the world. In her search to express herself freely and honestly, she created the Martha Graham Dance Company, one of the oldest dance troupes in America. As a teacher, Graham trained and inspired generations of fine dancers and choreographers. Her pupils included such greats as Alvin Ailey, Twyla Tharp, Paul Taylor, Merce Cunningham, and countless other performers, actors, and dancers. She collaborated with some of the foremost artists of her time including the composer Aaron Copland and the sculptor Isamu Noguchi. Born in 1894 in Allegheny County, Pennsylvania, Graham spent most of her formative years on the West coast. Her father, a doctor specializing in nervous disorders, was very interested in diagnosis through attention to physical movement. This belief in the body’s ability to express its inner senses was pivotal in Graham’s desire to dance. Athletic as a young girl, Graham did not find her calling until she was in her teens. In 1911, the ballet dancer Ruth St. Denis performed at the Mason Opera House in Los Angeles. Inspired by St. Denis’ performance, Graham enrolled in an arts-oriented junior college, and later to the newly opened Denishawn School. Denishawn was founded by Ruth St. Denis and her husband Ted Shawn to teach techniques of American and world dance. Over eight years, as both a student and an instructor, Graham made Denishawn her home. Working primarily with Ted Shawn, Graham improved her technique and began dancing professionally. In “Xochital”, a dance made specifically for her by Shawn, Graham danced the role of an attacked Aztec maiden. It was the wildly emotional performance of this role that garnered her first critical acclaim. By 1923, eight years after entering Denishawn, she was ready to branch out. She found her chance dancing in the vaudeville revue Greenwich Village Follies. At the Greenwich Village Follies, Graham was able to design and choreograph her own dances. Though this work provided her with some economic and artistic independence, she longed for a place to make greater experiments with dance. It was then that she took a position at the Eastman School of Music, where she was free of the constraints of public performance. At Eastman, Graham was given complete control over her classes and the entire dance program. Graham saw this as an opportunity to engage her best pupils in the experiential dance she was beginning to create. These first experimentations at Eastman proved to be the sparks of a new mode of dance that would revolutionize theories of movement in all of the performing arts. For Graham, ballet’s concern with flow and grace left behind more violent traditional passions. Graham believed that through spastic movements, tremblings, and falls she could express emotional and spiritual themes ignored by other dance. She desired to evoke strong emotions, and achieved these visceral responses through the repetition of explicitly sexual and violently disjunctive movements. 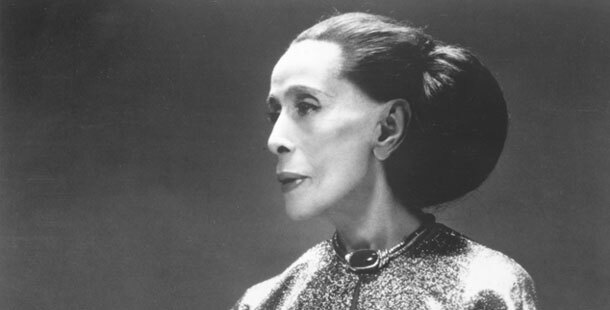 Beginning with her Eastman students, she formed the now famous Martha Graham School for Contemporary Dance in New York. One of the early pieces of the company was “Frontier” (1935), a solo performance about the pioneer woman. This piece brought together the two men who would be close collaborators throughout her life. Isamu Noguchi, the Japanese-American sculptor, created a sparse and beautiful design that replaced flat backdrops with three-dimensional objects. Together Graham and Noguchi revolutionized set design through this inclusion of sculpture. “Frontier” also included the sound design of Louis Horst, a close friend and strong influence throughout Graham’s life. Soon after “Frontier”,Graham brought a young ballet dancer named Erick Hawkins into the company. Together they appeared in one of her major works, “American Document” (1938). For the next ten years he would remain with the company and perform in many of her great pieces. The most famous work from this period was “Appalachian Spring” (1944), for which Aaron Copland wrote the score. In 1948 Graham and Hawkins married, but the marriage was short-lived. They continued to work together for a while and then made a permanent break. After this break, Graham plunged deeper into her work and in 1955 presented the world with one of her greatest pieces, “Seraphic Dialogue”. “Seraphic Dialogue” was a powerful and moving version of the story of Joan of Arc. Throughout Graham’s career she would return again and again to the struggles and triumphs of both great and ordinary women. Despite her age, she continued to dance throughout the 60s. It was not until 1969 that Graham announced her retirement from the stage. For Graham, however, life away from dance was impossible. Though no longer able to perform she continued to teach and choreograph until her death in 1991. It is nearly impossible to track the influence of Martha Graham. Everyone from Woody Allen to Bette Davis cites her as a major influence. She is universally understood to be the twentieth century’s most important dancer, and the mother of modern dance. She performed at the White House for Franklin Roosevelt, and received the Presidential Medal of Freedom and the French Legion of Honor. She was the first choreographer to regularly employ both Asian- and African-American Dancers. Her contributions to the art of stage design and dance production are countless. Martha Graham’s continued experimentation and her constant attention to human emotion, frailty, and perseverance, is one of the greatest individual achievements in American cultural history.